In order to quote for your new project, you need to know what kinds of cost (such as activity cost, resource cost, schedule cost) the project will generate and how to estimate those costs. Use the following Project Quotation Checklist to learn more about project cost estimation and quotation. Estimate and categorize financial expenses (buying, leasing, renting, contracting, communication, others). Make an activity cost estimate to determine how much money will be required to carry out project activities. Create an administrative cost estimate to determine the price for project administration and governance. Design a service cost estimate to calculate the total quote for project support, maintenance and deployment service. Develop an employee training cost estimate to count expenses required to train project staff and develop their skills and abilities. Make a budget sheet that counts and covers all the cost estimates. Review the financial plan of your project to be sure there are sufficient funding sources to financially sustain the project. Identify what raw materials and in what quantity are required for your project. Determine an estimated price of required raw materials. Multiply the estimated price with the total quantity of raw material required. Know the market average labor hour rate to understand how much money you are expected to pay in average to project staff for their time worked. Regard this information as the basis for labor cost estimation and salary calculation. 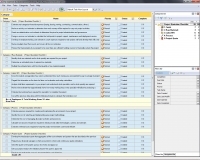 Analyze total labor requirements to your project and understand what specialists and in what quantity are required. Make a time estimate that approximately shows how many working hours every specialist will utilize for producing a desired effect and completing assigned tasks. Estimate total working hours required for specialists to complete the project. Estimate expenses required for creating and maintaining the environment of your project. Identify the cost of selecting and implementing your project methodology. Determine the cost of managing all project activities and processes. Calculate an amount of expenses required to introduce and utilize technologies, systems and software. Estimate overhead costs required to keep the project environment current and efficient. 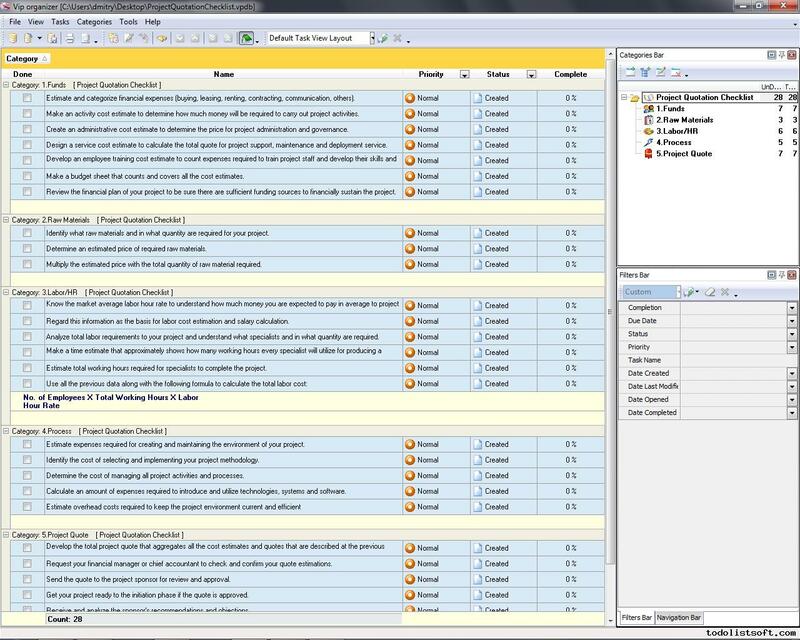 Develop the total project quote that aggregates all the cost estimates and quotes that are described at the previous steps of this checklist. Request your financial manager or chief accountant to check and confirm your quote estimations. Send the quote to the project sponsor for review and approval.